We try reminding our readers a couple of time during the Travel Months, how important it is to wear Travel Support Socks or Stockings for the health of your legs, especially when you travel long distances. WHY, Because, they really WORK!! Yes we want to educate you about (DVT) Deep Vein Thrombosis. Deep Venous Thrombosis occurs when a blood clot develops inside the veins located in the legs of pelvis and blocks blood flow, causing pressure to build within the vein. A recent study was conducted using 20 individuals, 10 with risk for venous thrombosis and 10 without risks. They flew from Vienna to Washington and 2 days later returned to Vienna. Measurements of the legs were taken between the 5th and 8th hour in the flight to Vienna and 1 day and 3 days after completion of their travel. The results showed no difference between the two groups. There was a significant increase in the volume of the legs caused by edema (swelling of the legs) and they remained swollen 1 day after they arrived in Vienna, Big RISK of DVT. If you’re planning a (long distance) trip, please for your health and well-being, consider wearing of Travel socks or Travel stockings, to minimize the risk of embolisms. 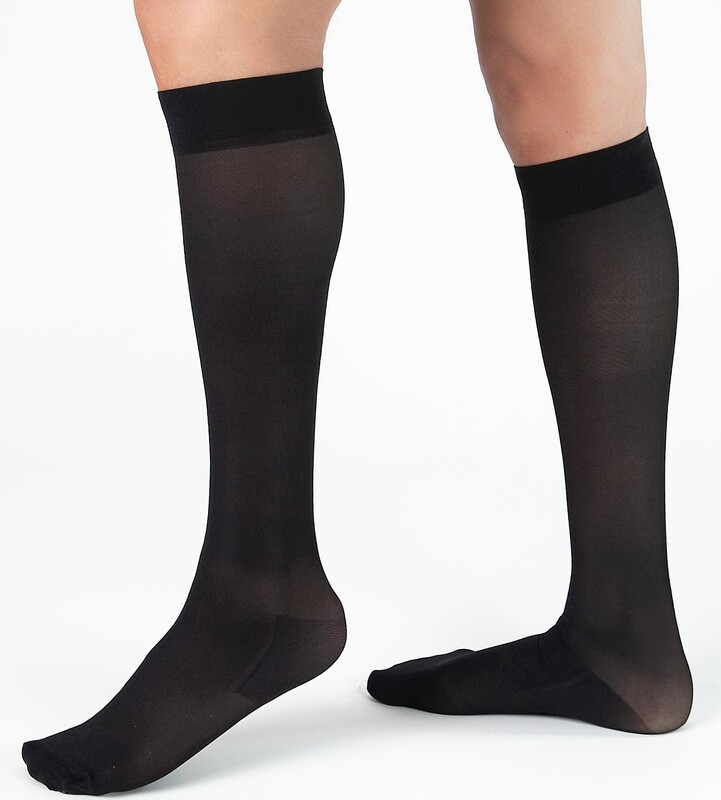 It's been suggested, even to continue to wear your Travel Support Stockings the next day after your arrival at your destination, to ensure your legs have good circulation. 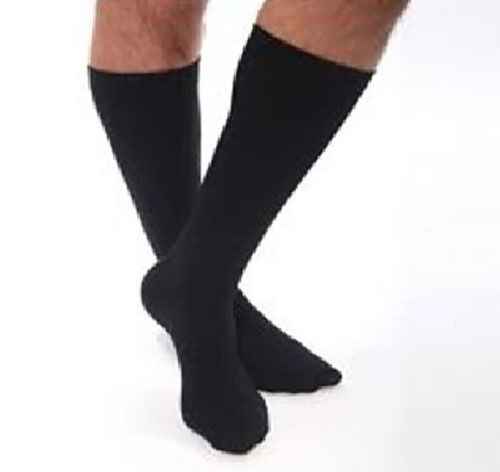 For individuals who already predisposed to leg problems, 20-30mmHg Socks is a must. Below you can click on and check out a couple of our most popular selections of Travel Socks and Stockings for your next long distance travel.